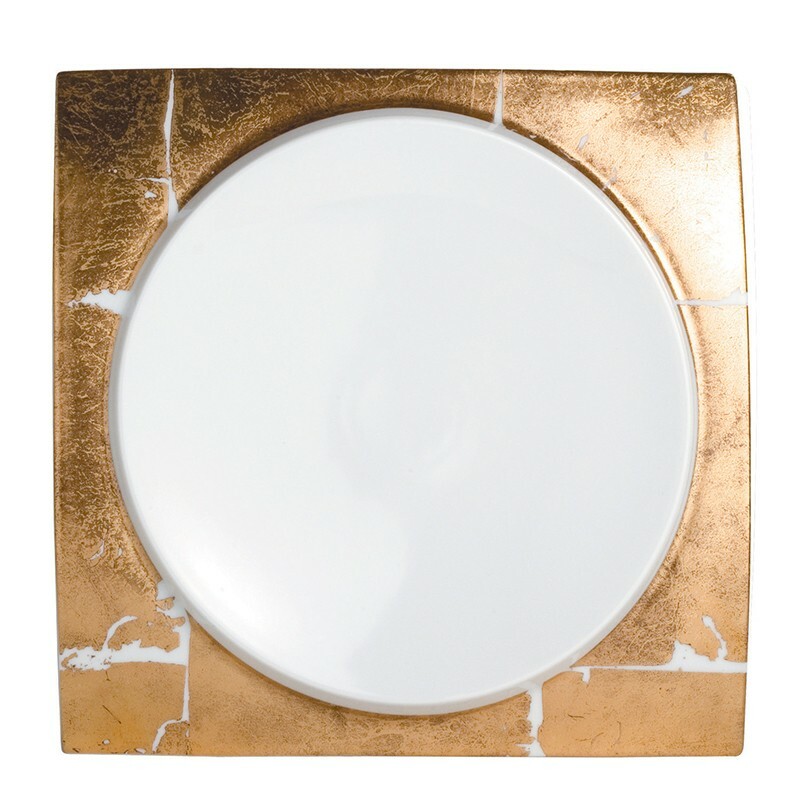 Bernardaud Gold Leaf Dinner Plate - 10.8 X 10.8 In / Center 9 In is part of the collection of Bernardaud dinnerware. Bernardaud china, mastering the art of luxurious Limoges porcelain, contemporary and bold, combining craftsmanship, creativity and France’s traditional heritage. Designers and artists who create works of art using ‘‘white gold’’ as their medium.